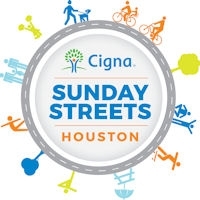 The Cigna Sunday Streets initiative closes a major section of streets in Houston, Texas, on one Sunday per month, six Sundays per year – allowing residents to walk, bike, and jog along the roads. A variety of businesses on these routes provide entertainment and programs during the event. After the success of the City of Houston’s 2014 pilot of the program, the health insurance company Cigna assumed sponsorship of the program for future years. Sunday Streets shifts its location in a thoughtful manner, aiming to encourage physical activity in a low-cost, effective way while simultaneously addressing health and economic disparities. One Sunday per month, six months a year, a section of major streets in Houston is closed to traffic from 12 to 4pm to allow residents to walk, jog, bicycle, and otherwise interact and be active outdoors in their own communities. Sunday Streets is an initiative designed to encourage outdoor physical activity among residents of Houston, Texas. One Sunday per month, six months a year, a section of major streets in Houston is closed to traffic from 12 to 4pm to allow residents to walk, jog, bicycle, and otherwise interact and be active outdoors in their own communities. Locations are not constant, but rather change neighborhoods each time the event occurs. The program was piloted in 2014 by the city of Houston, Texas as part of their Go Healthy Houston Initiative, and after a successful first season was sponsored by Cigna. In addition to the popularity of Sunday Streets which led Cigna to become its major sponsor, Go Healthy Houston has impressive self-reported data on the programs popularity. According the Go Healthy Houston webpage, the average event is attended by some 20,000 people. 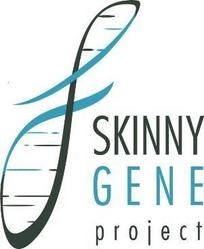 Additionally, according surveys conducted by Sunday Streets, more than half of participants discover new businesses that they had not previously known about, about half of participants report being more likely to walk or bike to places in their neighborhood, and the average participant gets about two-thirds of the CDC-recommended 150 minutes of weekly physical activity during the event. Cigna Sunday Streets is a terrific example of the way that environmental changes that encourage healthy behavior can be welcomed as a positive part of a community rather than an extra chore to be taken on for health. Simply by designating and event, the city of Houston was able to make physical activity more appealing, more fun, and more available for citizens, and do so in a way that benefitted local neighborhoods and businesses as well. Behavioral change, here, is a question of environment, rather than of individual motivation. In addition, Cigna Sunday Streets pays explicit attention to location, aiming to make an impact on neighborhood health disparities within the city. While public, outdoor events such as Sunday Streets are not unique to Houston, this particular program is worth noting because of the way that it shifts location to benefit the communities of highest need. Go Healthy Houston, “About Cigna Sunday Streets Houston,” Go Healthy Houston, n.d., http://gohealthyhouston.org/sundaystreetshtx/sundaystreetshtx_old15/.